Investopedia's "The 100 Most Influential Financial Advisors"
"For nearly 20 years, we have sought to help people make smarter financial decisions. Every article we write and tool we develop is imbued with a mission of educating our readers. Accordingly, we don’t believe that traditional metrics, like advisor AUM or client turnover, are the best way to measure today’s financial advisors. It’s not that we don’t find such metrics important. We recognize that other lists that rely on such metrics serve an important purpose. It’s just not what we’re about at Investopedia. The Investopedia 100 seeks to measure influence. We have endeavored to quantify the impact that our advisors have on their clients and the broader financial community. Influence isn’t about being popular. It’s about helping others. 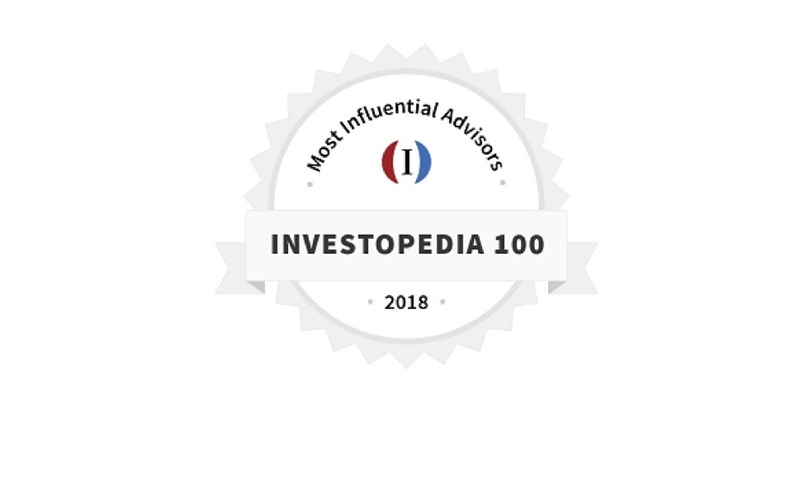 Investopedia's list of the 100 Most Influential Advisors of 2018 celebrates those advisors who do it best."